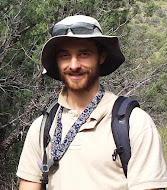 I've previously blogged about cool ecosystem artwork, and wanted to recognize more amazing artists in this post. 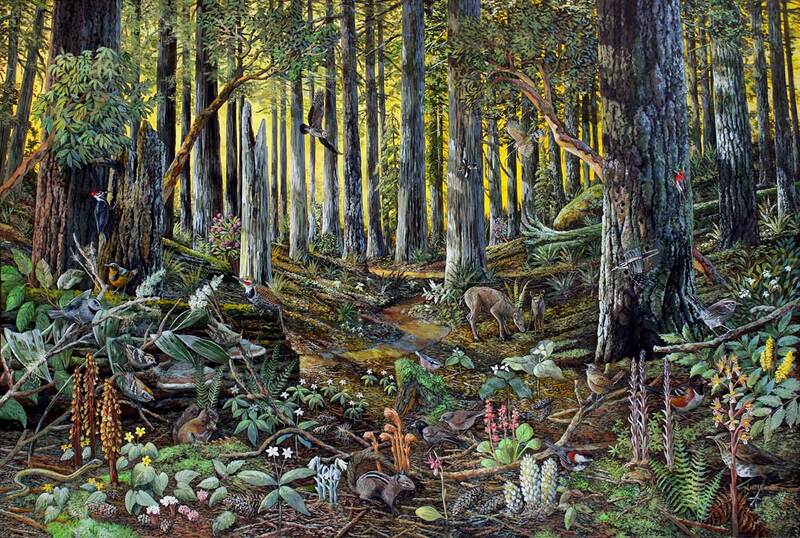 The Nature of America stamp series featured the ecosystem artwork of John D. Dawson. 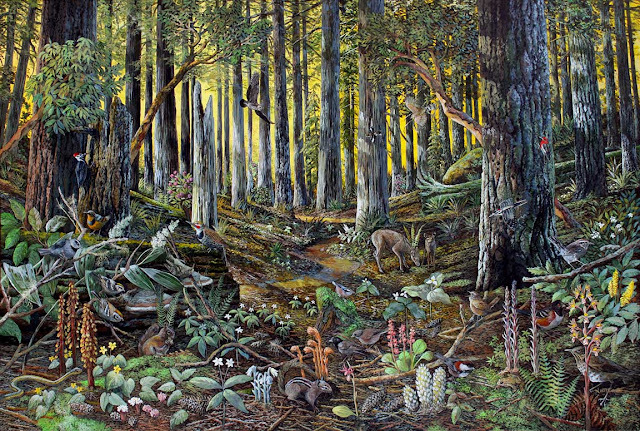 Dawson is one of the best-known artists featured in National Park ecosystem artwork, such as these brochures from Olympic National Park. 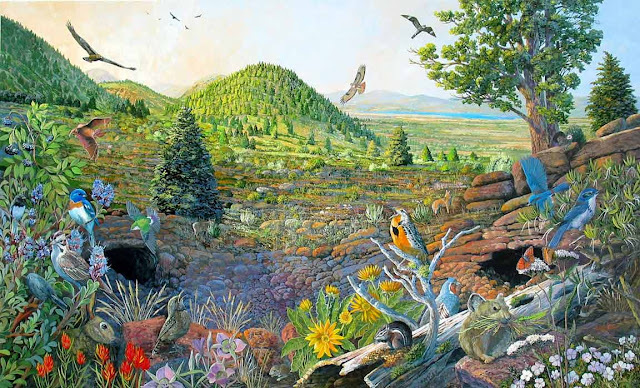 Larry Eifert may have done more ecosystem artwork for the NPS than any other artist. The USFS has a series of posters featuring the ecosystem artwork of Steve Buchanan.